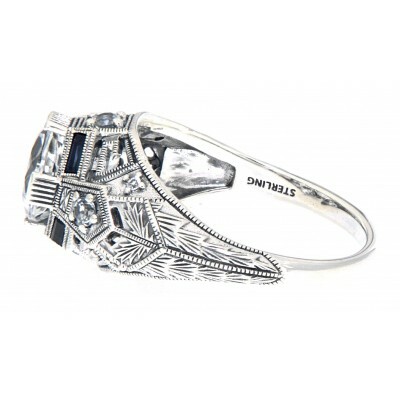 Handcrafted in the Art Deco style, this filigree ring features a large 7mm White Topaz flanked by coordinating 4 baguette cut genuine blue sapphire gemstones and 4 round white topaz accents. 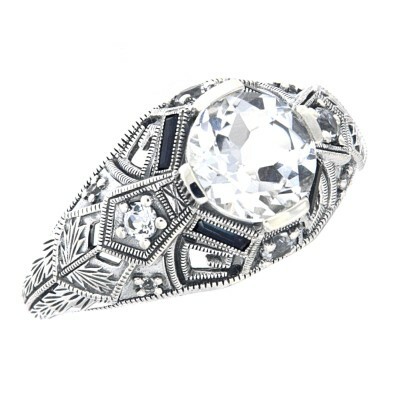 The elegance of the sterling silver filigree setting gives this ring its distinctive flair. Sapphires are the birthstone for September and the fifteenth anniversary stone, and these rings make a great gift for any occasion. 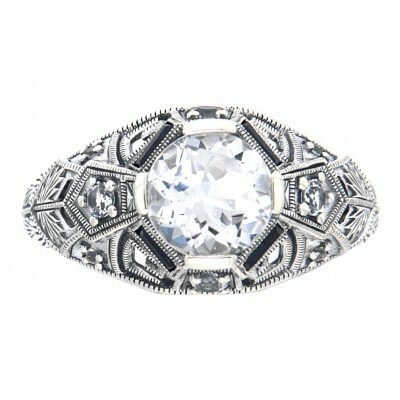 This item is new and a quality sterling silver antique and collectible reproduction.